Quite simply, a citizenship by investment scheme is one that enables wealthy individuals and families to fast track naturalization in a new country. Cynics tend to suggest that these individuals are simply using their wealth to buy citizenship. However, very few countries want to be tarred with a label of passports for sale, so there are always criteria for applicants to satisfy to ensure that only highly appropriate candidates apply. These criteria differ from country to country, but any legitimate immigration scheme will include a minimum period of residency in the country to create and demonstrate ties, plus some form of background check or vetting. Most second citizenship by investment countries also want applicants to purchase or rent long-term valuable residential property. Some countries also ask that government bonds are purchased, or that a contribution is made to a fund that benefits the country. A few economic citizenship schemes 1 also require some form of business investment that employs locals. Most of these rules have come about because of the experience learned from previous passport programs. For example, there have been “no questions asked” schemes in the past where a new passport would be issued in exchange for a large payment. These countries soon developed a bad reputation and their passports were soon being bought by criminals and gangsters. No matter how broke a country might be, nobody wants that reputation! Small nations actually want to be seen as a haven for high net worth families and individuals, people of talent and education. It is worth pointing out at this early stage that not all passports 2 are the same. For example, some countries have very few reciprocal travel or visa arrangements, while others enable visa free travel to most of the world. Equally, citizens of some countries are expected to perform national service, while most are not. Some countries place quite a high level of taxation on their subjects, some place no taxes on their citizens, whilst most nations lie somewhere in between. In other words, there are options for a family to naturalize into a second country and some countries will be more appealing that others, depending upon the circumstances of the applicants. For governments – usually smaller nations – it is important to investigate options for raising income. Many smaller nations already operate to a greater or lesser degree in the world of offshore finance or investment, so passports can seem like a logical next step. 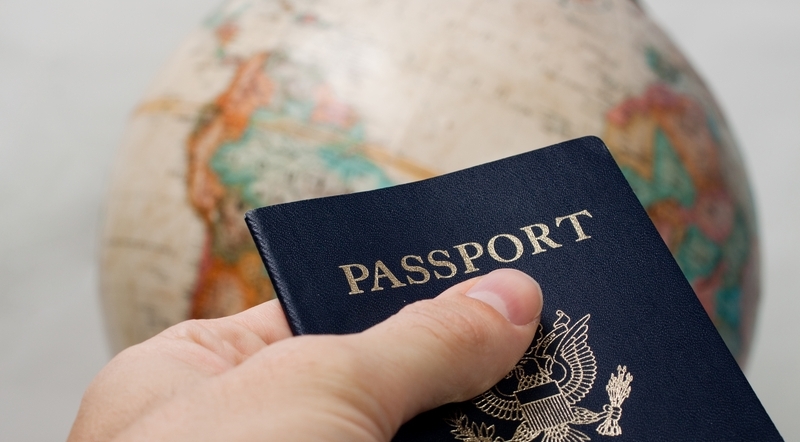 Ultimately, a passport is a relatively inexpensive document to produce, despite the much higher value it has. Who Wants Citizenship By Investment And Why? There are many reasons why an individual or family might wish to have a second (or third) passport. For many, it is simply diversification. Once your net worth and income reach a certain level, you have a luxury apartment in London and one in Paris, then what? An obvious next step is to add extra security to your personal freedom. It might be an escape option in case your country ever goes to war or there is a change in government that brings in rules that limit freedom. For others, they already live in countries where personal freedom is limited. Now that they have accumulated some assets, it is time to loosen those shackles. Economic citizenship may enable the children to be educated in America or Europe, for example. Reasons like these can make the investment worthwhile. Many people are less philosophical about these things and simply see second citizenship by investment or dual nationality as a way to reduce their tax burdens. What Criteria Make Citizenship By Investment Countries Popular? There are many countries whose passport is not a particularly helpful travel document, meaning that only the truly desparate and career criminals would apply for one. In contrast, there are other countries with very powerful passports 3 that most people would be interested in. – Is the country an EU member state? EU citizens are allowed visa free travel and the right to reside in all EU member states as a fundamental right. When this is combined with the rights of movement under the Schengen Agreement, it provides powerful benefits to lifestyle and freedom. – Is the country “neutral”? Some nations have a fairly bad reputation around the world whilst some others are thought of incredibly well. For example, the reputation of Ireland seems to be very good everywhere. If you are going to be associated with a new country, it might as well be a country that is generally liked. It will make life much easier. – Are citizens required to perform some sort of national or military service? You might want to serve in an army, but lots of people do not. – How does the citizenship by investment country tax it’s residents? On top of any costs to apply will be the costs of actually being there. Taxation is generally one of the highest bills we have to pay, so it makes sense to investigate the situation carefully. Your income and it’s source will differ from that of many other people, so it is important to consider this question and your own circumstances carefully. – What is the national language? Will you be able to function there with the language that you speak? For most people, finding a country where a sizable portion of the population speaks English is very important. This makes many of the Caribbean islands attractive. – How long is the application process? Having to wait one year is very different to having to wait five years. Considering that there are almost 200 sovereign nations in the world, these simple criteria limit the number of attractive countries quite considerably. Which Countries Give Citizenship By Investment? As might be expected, there are some nations that have never and will never offer such benefits. However, there are a small number that consider economic citizenship to be very valuable. There are few identifying characteristics that can be used to quickly categorise these countries. In the mind of the general population, a country that sells a passport is usually a small island in a sunny far away place, but the reality that there are many some first world nations that provide economic citizenship. Which EU Countries Give Citizenship By Investment? As you can see, there are many options available to a high net worth individual or family. However, those words are the key ones – high net worth – because whilst countries describe themselves as wanting to attract creative and talented people, the reality is that they need to have been creative and talented enough to earn and save significant amounts of money. If you qualify, then there will be many doors open to your family and a new passport may be possible.